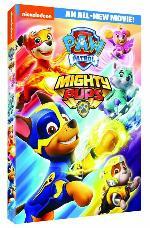 Prize: Nickelodeon’s paw-some pups, the PAW Patrol, embark on their biggest mission yet in the brand-new TV movie, PAW Patrol: Mighty Pups. Statistics: This contest was opened by 62 and entered by 1 ContestChest.com members. 2% of those who opened the contest, entered it.